Pictured Above: The Wilbert Family with the Honorable Mark Johns (6th from Right) and Ontario Councilman Richard Leszyk (5th from Right). The Wilbert family is proud to celebrate our newest building a 14,000 square foot sales, warehouse and vehicle dismantling facility at our Ontario, NY location with a ribbon cutting ceremony, tours, and hosting of local dignitaries. This year’s celebration coincided with Earth Day, which has become a tradition at Wilbert’s we offered each attended a free tree to plant emphasizing our dedication to the environment and responsible recycling for future generations. 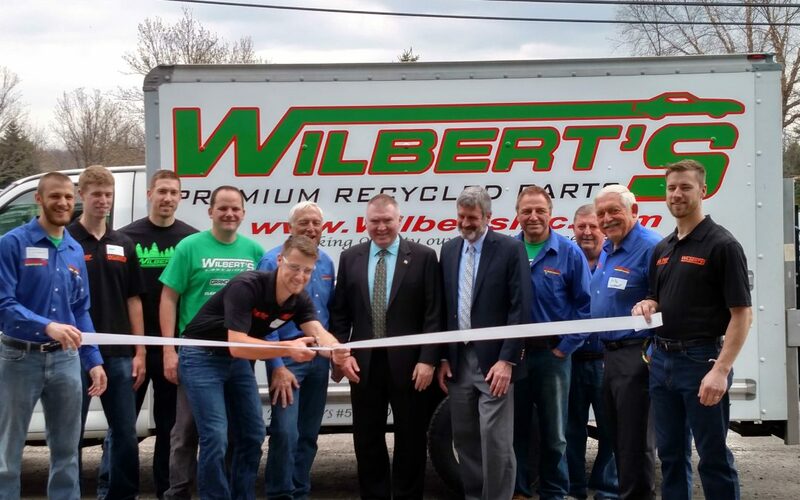 The Wilbert family has been in business operating in Rochester as an automotive recycling facility since 1952, now spanning 3 total locations in Webster, Ontario and Williamson. If you would like to learn more about Wilbert’s family of business’ you can visit www.wilbertsinc.com, or call and schedule a tour of one of our facilities. Good morning Maritza. We don’t usually get requests through the news site, so we apologize for the delay in response! We hope you gave us a call, but if you did not, please contact us at 315-524-8800!